June | 2012 | J.J. McLellan & Son "
Did you know that your Heating and Cooling costs the average homeowner more than $1,000 per year – then add in the extra costs of your hydro etc and your total utilties for your home can be a very significant amount of your monthly budget. Energy Star has compiled some great information, hints and tips of how you can save money on your heating and cooling. If you are looking to renovate, retrofit your current equipment or build new – take a few minutes to give this document a read! If you have any questions we would be happy to help you out. When looking at purchasing an HVAC system, regardless of your reason, you must ensure that not only the HVAC system is sized properly for your home, but also that your duct’s are as well! I am writing this post entirely from a woman’s perspective. And all about heating. Can you feeeel the excitement! Being the daughter and wife of a technician, I have learned a lot over the years and even more so when I had my own children. I can remember in our first house coming home after work and it was freezing! FREEZING. Of course my hubby wasn’t home from work yet and I called on my dad, who merely said to me just turn the thermostat off and back on. Well wasn’t I surprised when that worked! I had heat! It wasn’t until we had children that I really began to care about the indoor quality of our home. Not long after our son was born, we found out our family was expanding again and we began looking for a bigger home, within my criteria was natural gas – this is something that in our first home I, (and our budget) became very comfortable with. I love cooking with natural gas both inside and on the bbq. During the home inspection of our 2nd home, they made sure they tested the furnace – which thankfully they did as the heat exchanger failed (a great reason why during a home inspection you should also always have a furnace inspection or insist on the seller having one). What this meant was we were able to adjust our price on the home to cover the installation of a new energy efficient furnace – which in all honesty I did prefer. One home we did look at which had a nice lot and large garage for the husband, had electric baseboard heat. Although we could change this out, many homeowners do not realize the large cost of doing this retrofit – of course it can be done and your home will be much better in the long run with an energy efficient hvac system for heating, cooling and ventilation, your home will also have improved air flow and circulation, which is a downfall of electric baseboards. 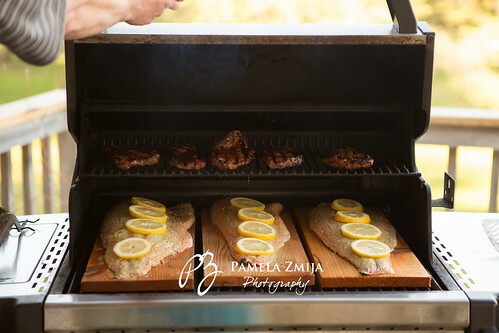 I grew very accustomed to the personal benefits of gas (natural gas in our case, propane also has the same benefits) of having an unlimited supply to our bbq, gas dryer, gas water heater, gas stove and a new energy efficient gas furnace. All very affordable as well. As a young mother having this option of gas in our home was a true convenience for me, if we used our basement we had a gas fireplace which would provide instant heat when needed, with cooking on the bbq I did not have to worry about running out of fuel, especially when planning dinner for our family with a husband working late – this was huge! Dad even said it perfectly to us one day, if there is a problem within the home whether its plumbing or heating if you ask the woman of the home she will always be able to describe it perfectly – in most cases women are home more than men. Why do women need to be educated in what an HVAC system is – simple – this is the system that literally runs your household. When you need heat or cooling and push a button or slide the temperature, you want heat or cold air. You want and need to know that your family is comfortable and healthy. Especially important during the buying process, when you begin to do your research. You want to ensure you have a quality product by a reputable manufacturer, bought from a knowledgeable supplier and installed by a qualified contractor who will be around if you do have issues. Do you want to save money? – of course everyone does especially with the rising costs of hydro. Do you have children? – you will want the system to be quiet and healthy – yet still efficient. Water conservation? That is a must now a days, be sure you take the time to do the research! When you are planning out your new home or your renovation – be a part of this discussion. I wont ever claim I know more than my father or husband when it comes to HVAC (that would be silly 😉 ), however I know what little things matter to me, as a mother. When we began our search for our 3rd home with property, my number one on my list was natural gas – although there were other homes we looked at and one we even had an offer in on that didn’t have gas – but could have gas installed. The next criteria was the HVAC System in the home, this would have to be inspected to ensure the efficiency. One of my other points was an HRV – which if it was already installed would be a bonus, if not it was a must install after we moved in. One of the biggest compromises for me in this home that we did purchase was it did not have a gas stove in the kitchen, nor could we install one without a major renovation. After much deliberation we purchased a new energy efficient electric convection wall oven. This was a major compromise for me, however we have a gas cook top and purchased a large broil king gas BBQ which we use much more than our stove. We did however have to have a gas line run for the BBQ. One of the benefits that I love in this home is the home having an HRV system and the gas fireplace downstairs. Bigger is not better at all! If the furnace is too big (not sized correctly to your home) it will not work properly and be very loud. 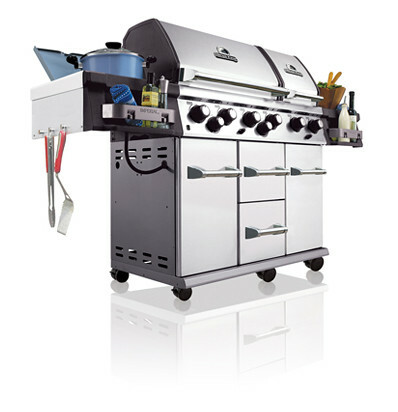 It is very important to keep hot and cold air grills clean – especially with pets! Planning – very important to know how many gas appliances you plan to have installed now or in the future – the size of the gas line is important for this! In-floor heating – this along with a gas fireplace is an excellent option for a basement! On days like this where its very hot, humid and muggy many of us are happy to be able to go to work and be out of the heat – what about our pets who we leave at home while we are at work? If you have AC at home do you leave it on all day or have it programmed to come on before you get home? Did you know that if you leave your system on all day at a constant temperature your home will stay cooler much easier – plus your system will not have to work as hard AND (this is a biggie for me being an animal lover) your pets will be comfortable while you are away! With the Co0ling season here in full force – please remember to change your filter. This will allow the air to flow easier (without the blockage or resistance of a plugged filter) and your system will not have to work harder. If your AC has to work harder you run the risk of it breaking down… and then you’ll have no cool air! One more quick reminder, while you are ensuring your pets are staying cool and hydrated also check in on elderly relatives and keep an eye on your children to ensure they are drinking lots of fluid! Freezie’s and popcicles are great options for keeping kids hydrated! Stay cool and enjoy this Summer weather! What would be your dream backyard? The best part of Summer is enjoying time outside with family and friends. What is your favourite part of your own back yard – how would you describe your “perfect” backyard space? Could it be with a Gas BBQ? 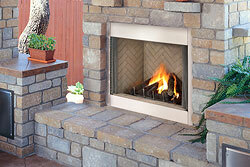 Or perhaps an outdoor gas fireplace? 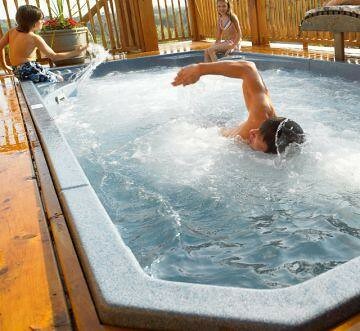 And to finish off your night what how about a dip in a swim spa? Let us help make your back yard dreams come true! We can install your gas lines for the BBQ and gas fireplace as well as install your outdoor gas fireplace for instant cozy heat anytime of the year! 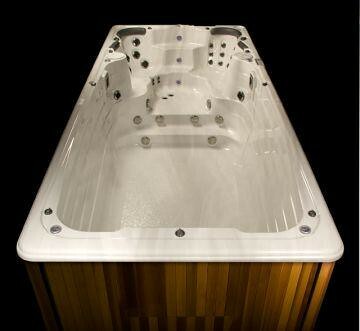 We can even order your Hydropool Swim Spa for you as well. Let the outdoors be an extension of your living space – enjoy your home in more ways during all seasons! Simple way to update your kitchen & peace of mind! Are you looking for a simple way to give your kitchen a new look? Something to update it but also be conservative on your spending. Replacing your kitchen faucet is an excellent way to update the look and improve the functionality as well. With Moen’s Design & Planning Website you can discover your perfect style! Do you like to think of yourself as a minimalist? Do you prefer styles and trends that exude simplicity? If you’re looking for hardware or fixtures that complement almost any accessory, design or color it’s time you go back to the basics. Moen’s Basic design offers minimal ornamentation and a fresh, clean feel to give your room the look you love. Are you a fan of the classics, but not of the out-dated feel they may bring to the table? Get a new take on an old look with Moen’s Transitional design. Familiar and inviting, transitional design offers contemporary elements while still maintaining the warmth and comforts of a trusted classic. Does organization rule your life? Do you prefer a simple, black-and-white photo focal point versus a wall of picture frames? If so, Moen’s Modern design is right up your alley. The sleek, cool design of modern style gives your room an uncluttered feel and creates an updated, refreshed and fun atmosphere. Are you drawn to rooms with warm tones, natural colors and a comfy cozy feel? If comfort and classic is what you seek, Moen’s Traditional design is right for you. Every rich detail of our traditionally styled pieces invokes a hint of the familiar that soothes the eye as well as the soul. Check out the various faucets that Moen has to offer and then give us a call, not only can we get your choice of faucets we can install them for you as well. Check out Moen Canada at http://www.moen.ca/kitchen-bar/_/N-67q for all the Kitchen faucets we could get for you! All Moen products come with a Limited Lifetime Warranty against leaks, drips and finish defects. Moen LifeShine finishes are guaranteed not to tarnish, corrode or flake off … for life. LifeShine creates the durability and wearability of chrome on a variety of beautiful, decorator-inspired finishes. Our highly trained customer and consumer service experts are available five days a week to handle all questions and concerns. 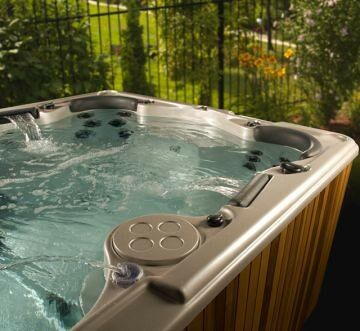 Maintains the balance between hot and cold water where there is a pressure drain on your system. Prevents “shower shock”. Our M-Pact® common valve system allows the homeowner to completely upgrade the style of their lavatory or shower faucet without replacing any of the faucet plumbing. Moen offers a variety of styles designed to complement today’s decors. Our patented one-piece cartridge means no washers, springs or discs – the most common cause of annoying drips. Used an all kitchen pullout and widespread lavatory faucets, Hydrolock® technology allows water lines to be installed with a snap for faster installation. It eliminates the need to use tools to attach the waterline to the faucet. Provides an audible, visual and tactile confirmation of proper installation. As Moen’s Plumber of the Month for May we are proud to showcase the products they offer and we can install!